The difference between a smart shower design and a not-so-bright one is with a smart design you want to spend time in the space. You’d like to linger and enjoy the relaxing message of the water. You want to sit on the bench seat and unwind after a long day taking in the ambiance of the lighting and décor. Conversely, a poorly designed shower will cause you to spew out a few choice words which got you in detention back in Junior High. A low-quality shower system makes life miserable. Its design makes the shower hard to use, and difficult to clean. It has a style which makes you feel you’re living in a throwback episode of The Brady Bunch or Leave it to Beaver (if you don’t remember those shows let’s just say they go waaaaay back!). 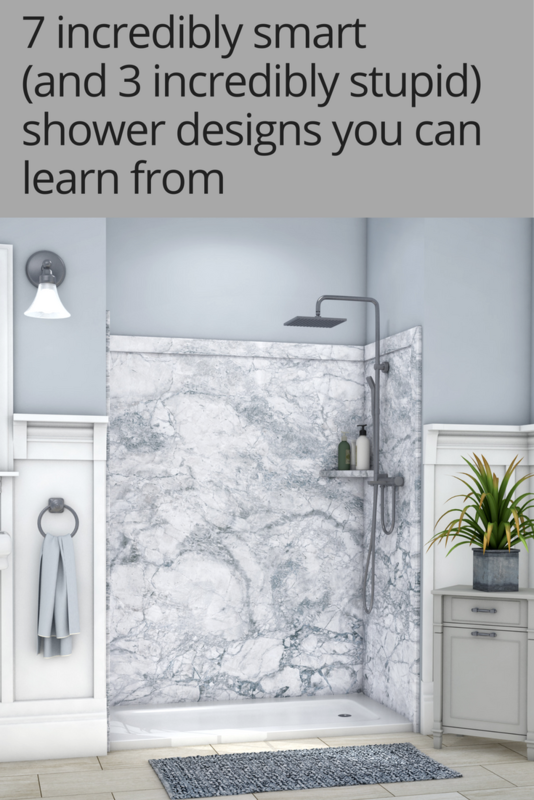 Whether you’re drooling over a cool, sleek, contemporary shower design you love in a magazine, Parade of Homes or friend’s house– or putting up with an elbow smacking, nightmarish decor, moldy unit you’re embarrassed to have anyone see – you can learn from good and bad shower designs to get the new shower of your dreams. 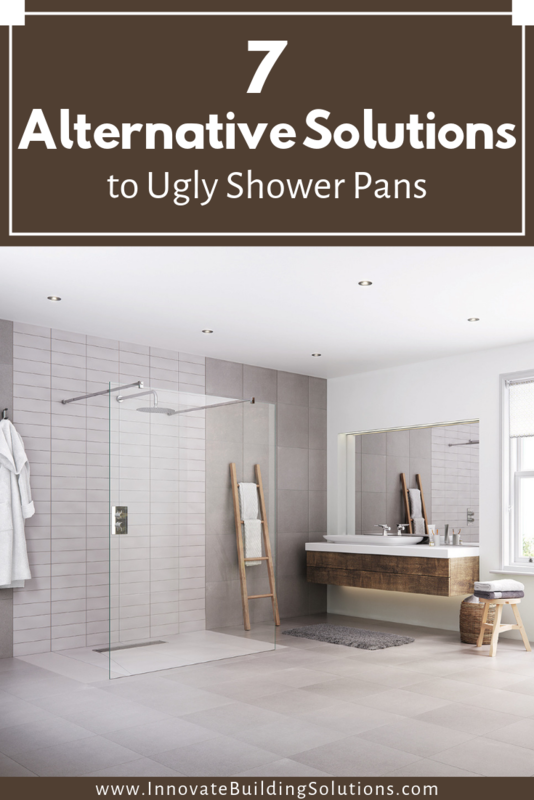 In this article, I’m going to take you on a journey to experience 7 incredibly smart – and 3 incredibly stupid – examples of shower design. At the end let me know what you liked (and didn’t) about these showers. A shower design is not a one-size-fits-all proposition. Get a design which not only works for you (and whomever you’re sharing this bathroom with) but also one which gives you pleasure, at a budget you can afford. Let’s check out the incredibly smart, and some not so smart, examples below.